Hey guys so if you missed my last post go check that out now. 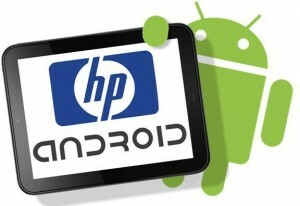 It basically explains some stuff about how you can put Android on your HP Touchpad. But in my last post I told you that I would show you guys a demo so here we are now and I am going to show you what Android on the Touchpad Actually looks like. So basically if all you care about is whats on it go check the video in this post and You will see my showing everything that’s on it. So the TP is on Android 2.3 Gingerbread from CyanogenMod 7.1 Alpha 2. Everything seems to be working so now I’ll give you a little chat of it. Mostly everything works so I’ll just name it off. And Basically everything works I can’t name it all so all you really need to know it what doesn’t work so without further to do. Again I don’t really know what to say everything seems to be working but there is only 2 things that I can think of. Not every app in the Android market can run on the Touchpad because it’s not really meant for it so just watch out for that. Except every app I have downloaded does seem to work. The 1 big problem is it does seem to drain your battery life a bit more. So if you look in the video you will see that one of the cool things is that you can switch between webOS and Android. So that’s really nice so even if you don’t really want Android you can just switch it out and try it sometimes. You will also see some 3D gaming in the video and web browsing. So now everyone is wanting to know how to put it on so don’t worry my next post will show you how to do that. So before I give you the video Subscribe to our Email Newsletter or Like us on Facebook for lots of other tech news, tutorials, reviews and more! YU Yureka Review: Best Performer Smartphone Under Rs.18000!